The basic itinerary that includes all primary attractions would be a 9 day trip. (Skip a day in Seoul if pressed for time). All of the secondary locations would add 1 day to the itinerary. Therefore, the max trip would be a 12 day trip. Most tours suggest only spending 2 days in Seoul (Day of Arrival + 1 Day) plus 1 day going to the DMZ. Since I think one of the main highlights of going to South Korea is going to Seoul, I would suggest three days. However, it is wise to know that one can see all of the main sites in 2 days if really pressed for time. With the exception of the DMZ, which I explain later, most people spend their 2 -3 days within the city. If you have extra time, these might be places to explore. This is a day trip from Seoul (45 km from city). You supposedly need to do organized tour to do everything. The cost for a tour runs about $45 – $120 dollars per person from a brief glance of DMZ tours. Other operators might offer cheaper pricing. If you want to visit the JSA, it will cost significantly more than if you skip the tour. If you do want to visit Panmuneom, certain nationalities are not able to visit. You should refer to Wikitravel for more details. Tour 3 is a full day while the other 2 tours can be done in a half-day. Not all of the tours run every day so make sure to plan in advance. Some tours (less than 25%) spend half-day in Andong, the home of Korean Confucianism, on the way towards Gyeongju. It is located 3 hours from Seoul. There is also a mask dance festival if you are there in October. This city served as the ancient capital of Silla from 57 BC to 935 AD. Many organized tours will spend 1.5 to 2 days in this location. There are several options to get from Seoul to Gyeongju and can range from 2.5 hours (Express train w/ bus to downtown) to local train (5 hours). It is also supposedly 2.5 to 3 hours on trains from Andong. 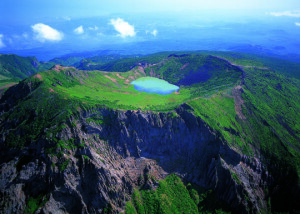 These two attractions are must-sees are included in any tour to Gyeogju. They appear to take about half-a-day. Depending on time, they will stop at some of the locations below (decreasing order number of reviews on Tripadvisor). Busan is the second largest city in South Korea. 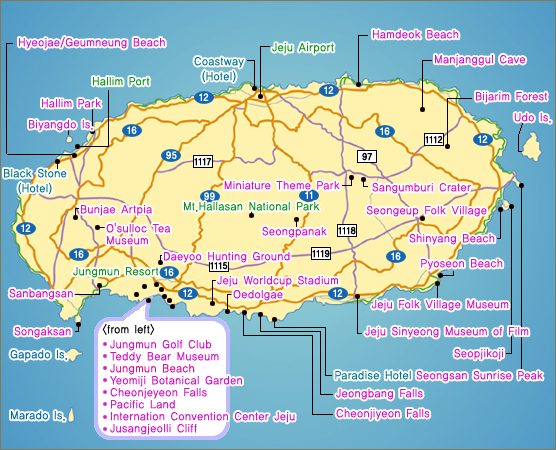 If you plan on visiting Gyeongju and want to visit Jeju island, you will need to travel to Busan to fly to Jeju Island. The main attraction in Busan is the beaches especially Haeundae Beach. There are also several temples within the city. After Seoul and DMZ, this is probably the next most popular attraction. 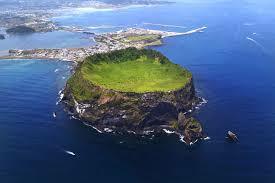 Most tours suggest spending 3 days on the island. It is a short 1 hour flight from Seoul leaving you with really three full days on the island. My opinion is to break it up into three days where one does the West, East, and Mt. Hallasan. 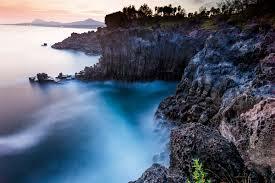 If you stick to the main attractions, it appears that you see the island in a very relaxed atmosphere. You will have plenty of time to enjoy the beach as well. If you do an organized tour, they fill up the days with marginal attractions. I would try to do the different trips without an organized tour ensure that you don’t waste time at these mediocre sites. You could see and enjoy all of these places in about half-day. This would leave you plenty of time to enjoy the beach. Some of the most popular beaches are in the West including Iho, Hyeopjae (located very close to Hallim Park) and Haeundae. This is not very busy day and would allow you to return to your hotel and enjoy the local hotels. The third day would be hiking up Mt. Hallasan. If you would rather not exert that much energy, you can see the mountain from the bottom. If you plan the latter option, it would probably be best to append to the East coast trip. There are 5 different routes up Mt. Hallasan that can take 8 to 9 RT. This is a full-day event. There are a number of museum, including folk museums, that one can visit. There is also an interesting place called Loveland with a bunch of interesting “statues.” It is probably worth stopping if driving past the park. It is about 30 minutes to 1 hour south of Jeju City depending on traffic. Seoraksan National Park (most people go in Autumn): this is probably the most popular national park in South Korea. 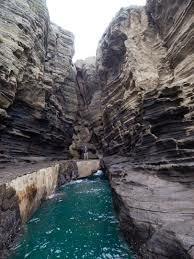 It is located in northeast South Korea about 4.5 hours from Seoul via Bus or 3 hours via driving. It is feasible to make a day trip out of this location. There are number of cool hikes in the area. Haeinsa Temple: one of the most famous temples in South Korea. It is located 1 hr and 20 minutes by bus from Daegu, the third largest city in South Korea. It is roughly 2 hours from train to Daegu from Seoul.